How well do you know mobile cranes? 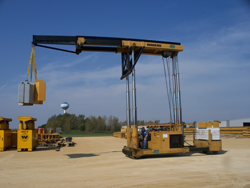 Let's discuss what a mobile crane is as well as the different types of mobile cranes we use at AME. 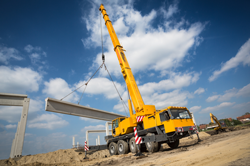 Whether you’re a large commercial plant that needs to reposition heavy equipment, an HVAC company moving an air conditioner or a movie producer who needs to hold up a light on a set, it’s critical to ensure you rent the proper industrial crane for the project. You’ve confirmed your scope of work, rented the proper industrial crane and now it’s time to head to the job site. You know this job is going be completed on time and on budget! Oh, wait, the OSHA Compliance Officer is there and he’s making an inspection. You submitted your team’s certifications? You performed the proper safety checks? You hired a qualified crane signaler, correct? You quickly learn that your signaler doesn’t meet OSHA regulations and suddenly you’re scrambling to get someone there to be in compliance and finish the job. Sometimes when a crane is rented from AME, clients decide to use one of their own guys to signal the crane, thinking they are properly qualified when they are not, and then OSHA delays the move. 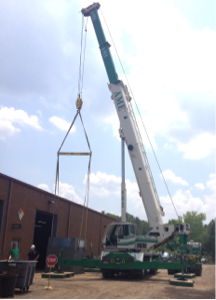 Successful 100,000 Pound Lift: Powerful Construction Cranes Is What We Do! When major companies have a need for a construction crane, who do they call… AME, Inc.
Why Call AME for Construction Cranes? Because of our equipment and experience doing safe work with small companies to Fortune 500 Companies. Our NCCCO Certified Crane Operators were challenged with supporting the tear-down of turbine to access a 100,000 lb. rotor, lift it out of the casing, lift it back into place and finally put all the pieces back together. Read the latest information on Rigging and Heavy Lifting, Cranes, Millwright, General / Industrial Contracting and Fabrication in the Carolinas from AME Inc.
Get AME delivered to your inbox.